One of my most favorite things to do is spend time with my daughter. She is my mini-me! Dee loves to cook and create recipes! Put her in a craft store and she is one happy camper! It’s the little things in life that make the best memories! 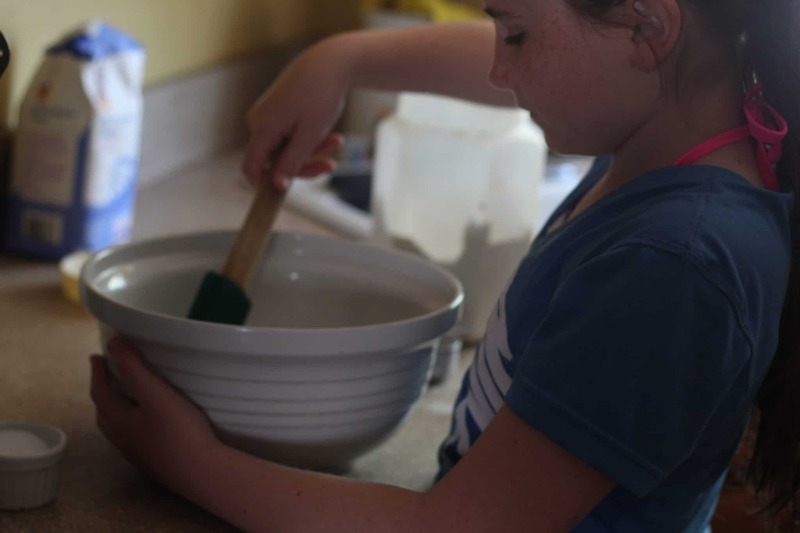 We have a standing weekly date, to either make a craft or create a recipe together. It’s a time for us to have fun and create special memories. She’s in middle school and my little girl will be a teenager before I know it! 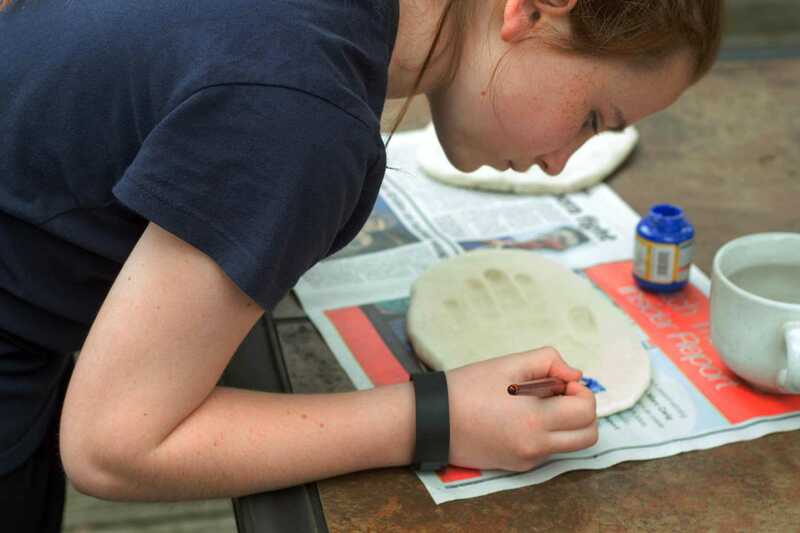 For our latest date, we had an idea to make an art project and we wanted to incorporate her hand print to make something fun and to capture in time, her small hand, since she is growing up way too fast! 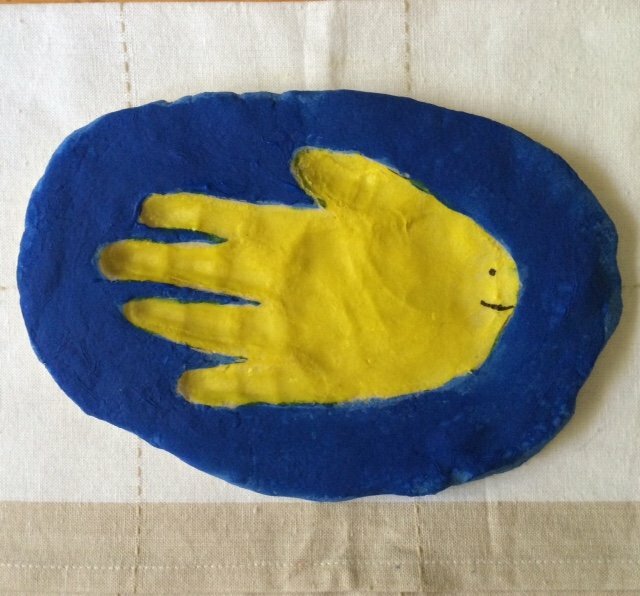 We decided to make this DIY Flour Dough Fish Handprint! While we were at Target on our quest for ideas to make our latest project, we came across the most adorable display. 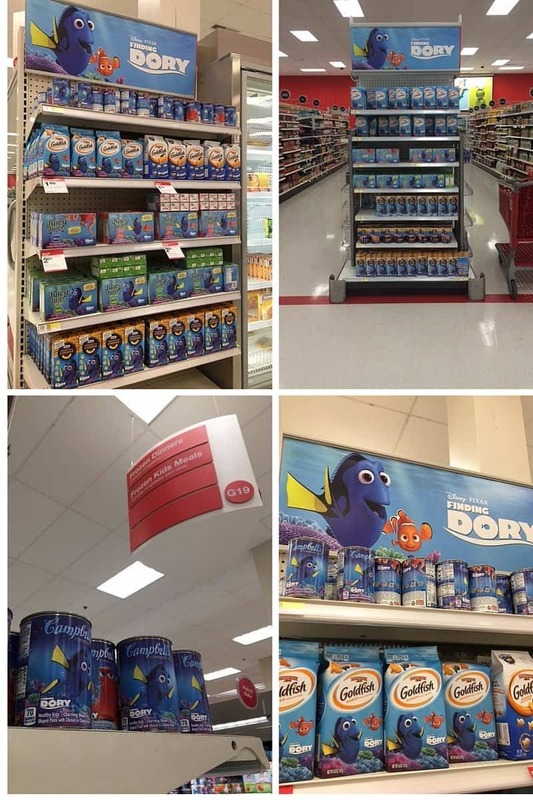 It really caught our attention because the display had Campbell’s Soup featuring Disney/Pixar’s Finding Dory and Goldfish® Special Edition! Cheddar Disney Pixar’s Finding Dory Crackers! My daughter loves Campbell’s Soup featuring Disney/Pixar’s Finding Dory because they have three themed labels and the soup has fun shaped pasta in the chicken broth. I love that the soup is super easy to prepare, has chicken, carrots, no added MSG and my daughter loves eating this soup! The display also had Goldfish® Special s! Cheddar Disney Pixar’s Finding Dory Crackers! My daughter and I love Goldfish crackers and she really loves the special edition colors! I love that the special edition colors are sourced from plants! Are you seeing our theme now? We thought how cool would it be to make flour dough out of flour, salt and water and make a hand impression into the dough and paint it to resemble a fish. 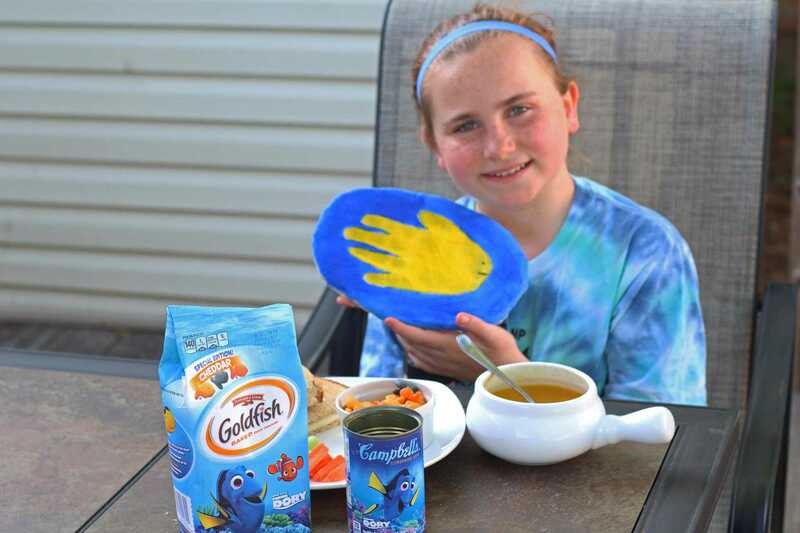 My daughter could paint the fish handprint and we have a fabulous memory and lots of fun making it! 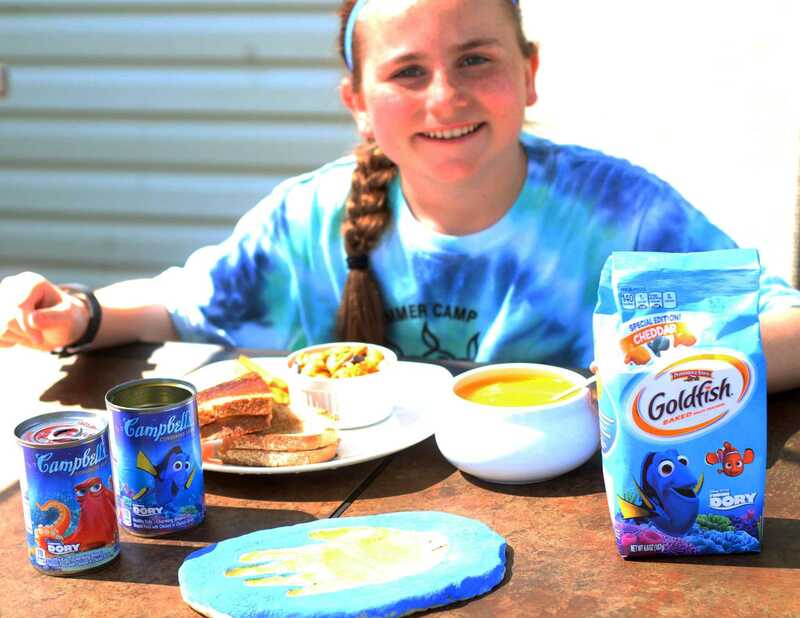 What is even better, we had a yummy lunch afterwards which included Goldfish® Special Edition! Cheddar Disney Pixar’s Finding Dory Crackers and Campbell Soup featuring Disney/Pixar’s Finding Dory! 2. 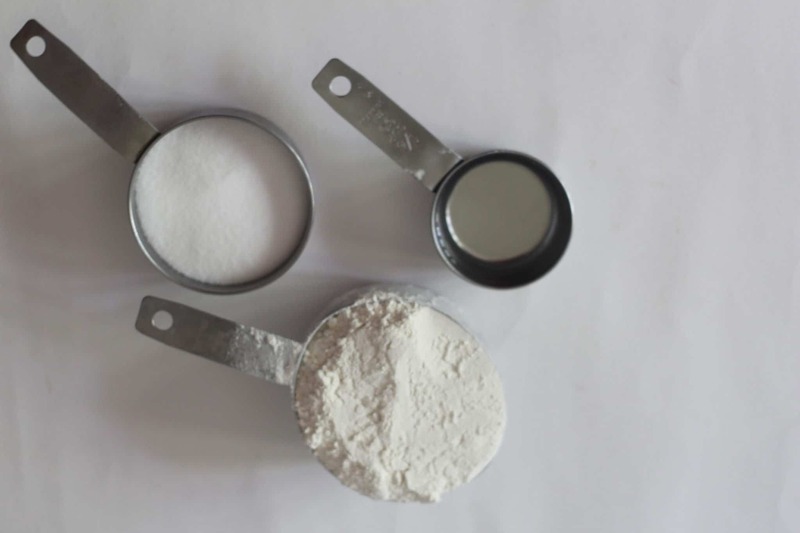 In a large bowl, combine and stir the flour, salt, and add the 1/2 cup of water. Add more water if needed to combine. I usually need 3/4 cups to make the mixture hold well. 3. 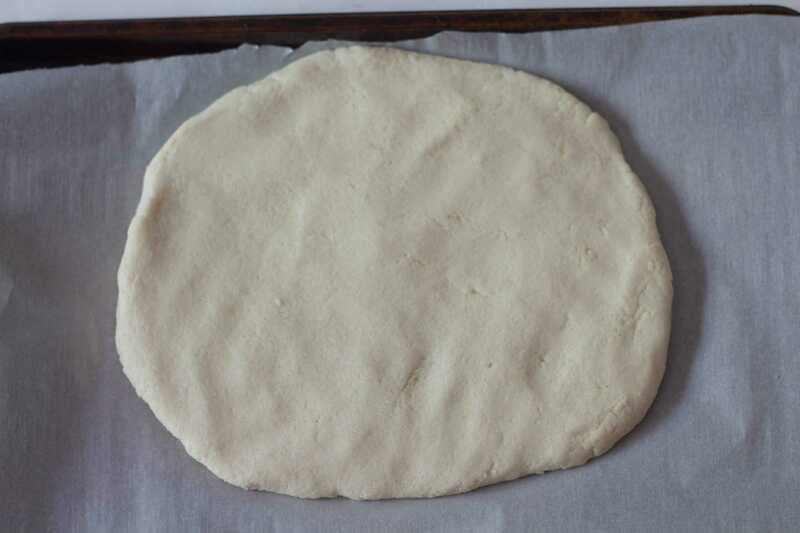 Turn the dough mixture onto a flat surface and knead for a minute or two and flatten out the dough to about 1/2 inch thick. Use a rolling-pin if needed. 4. 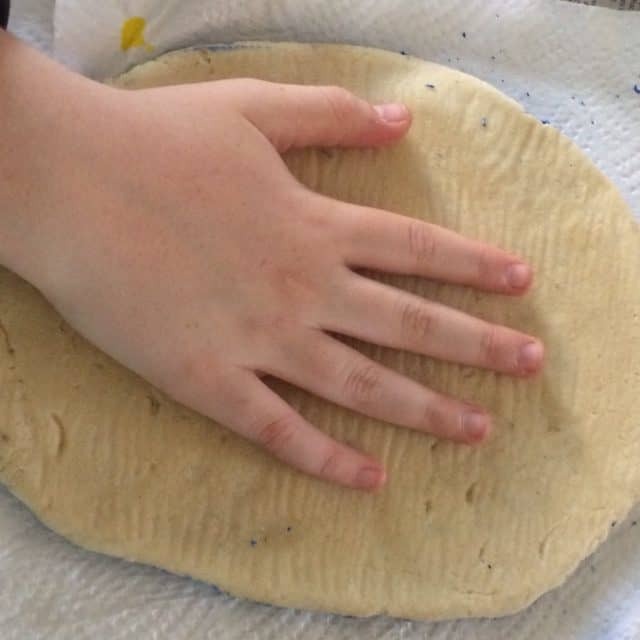 Place the dough on a cookie sheet and have your child press their hand firmly into the dough sideways to make an impression. 5. Place on a cookie sheet into the preheated oven for 2 hours. Flip the flour dough gently and bake another hour. Check to see if dough is solid. Bake another hour if needed. Remove from oven and let cool. 6. 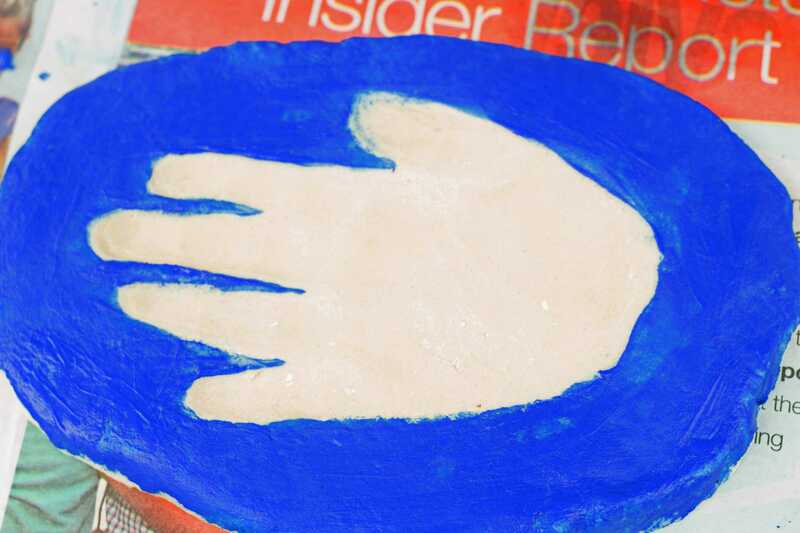 Paint the outer portion of the flour dough blue, leaving the handprint unpainted. Let dry, usually takes about an hour. 7. Paint the handprint yellow. let dry. Then use the black permanent marker to add the eye and mouth! There you have it, a fun flour dough fish handprint! 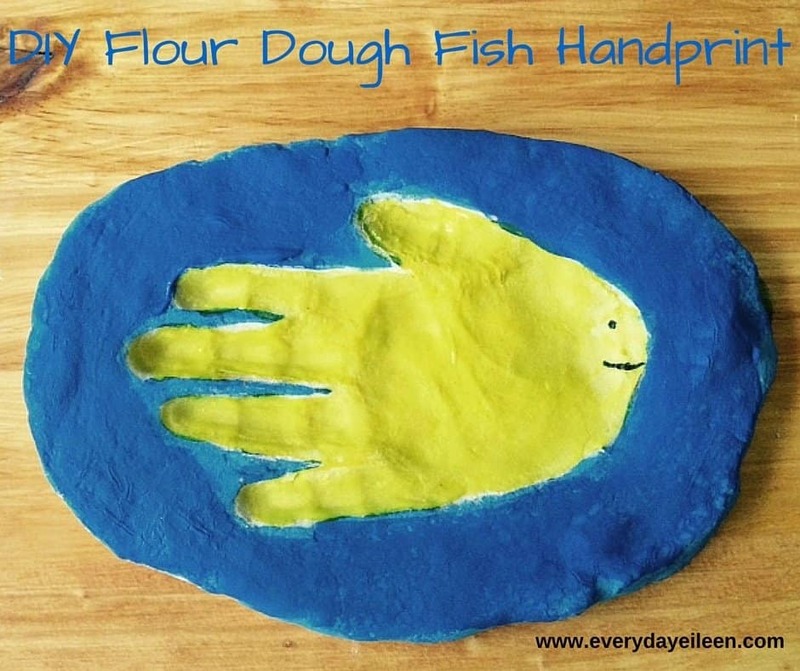 We had a blast making this DIY Flour Dough Fish Handprint! We were now hungry so guess what we decided to have for lunch? 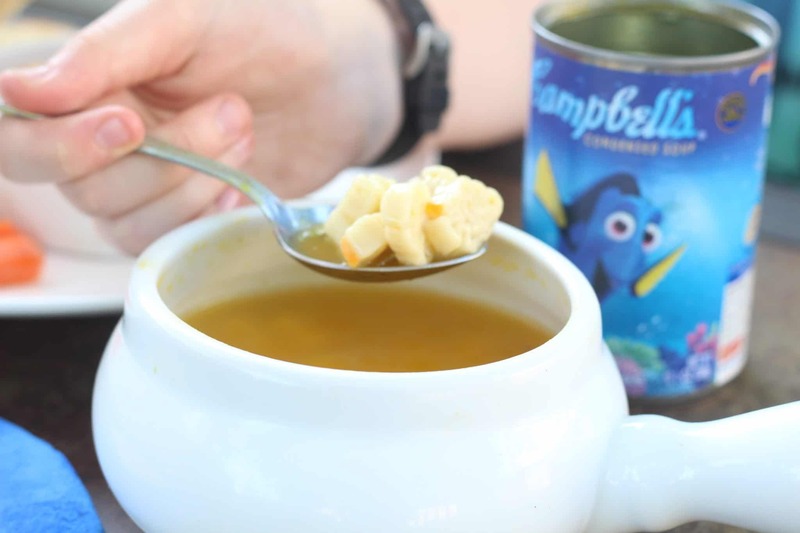 We enjoyed our Campbell’s Soup featuring Disney/Pixar’s Finding Dory and Goldfish® Special Edition! Cheddar Disney Pixar’s Finding Dory Crackers along with our gourmet grilled cheese sandwiches made with low-fat cheddar, low-fat Muenster cheese, and turkey bacon on Ciabatta bread. Along with some carrots and celery! A tasty meal! This was just so much fun for us! 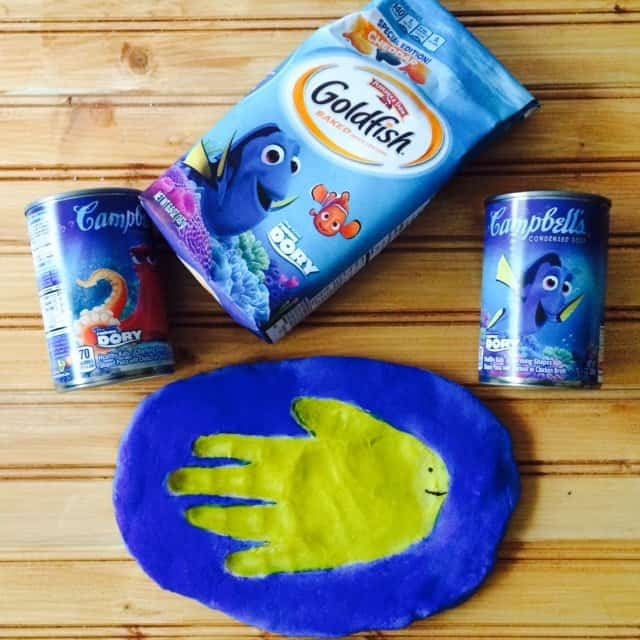 We loved making the DIY Flour Fish Handprint and having a tasty lunch with Campbell’s Soup featuring Disney/Pixar’s Finding Dory and Goldfish® Special Edition! 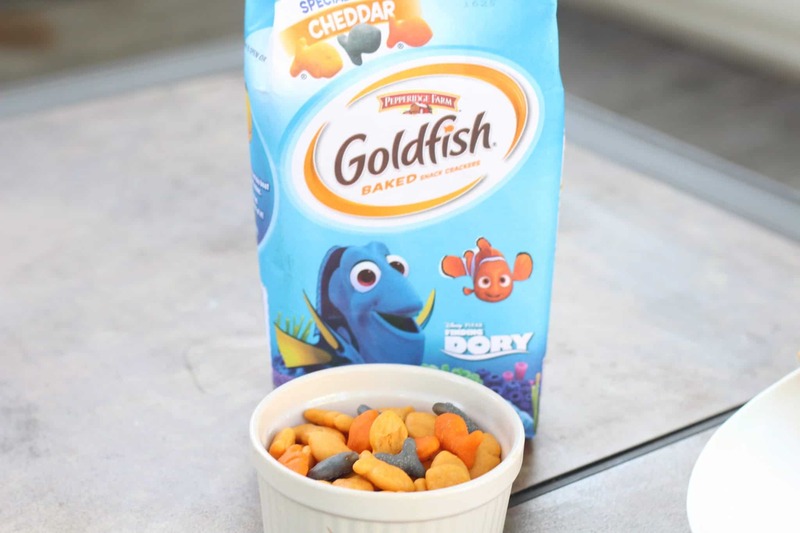 Cheddar Disney Pixar’s Finding Dory Crackers! LEAVE ANY COMMENTS, QUESTIONS OR SUGGESTIONS ABOUT THE RECIPE BELOW IN THE COMMENTS! I’D LOVE IF YOU CAN RATE THE RECIPE AFTER YOUR MAKE IT! THAT’S ALWAYS AWESOME!